As a family we love getting out and about in the countryside, no matter the time of year. As the seasons changes the surroundings do too and places can look very different even just a couple of months apart! 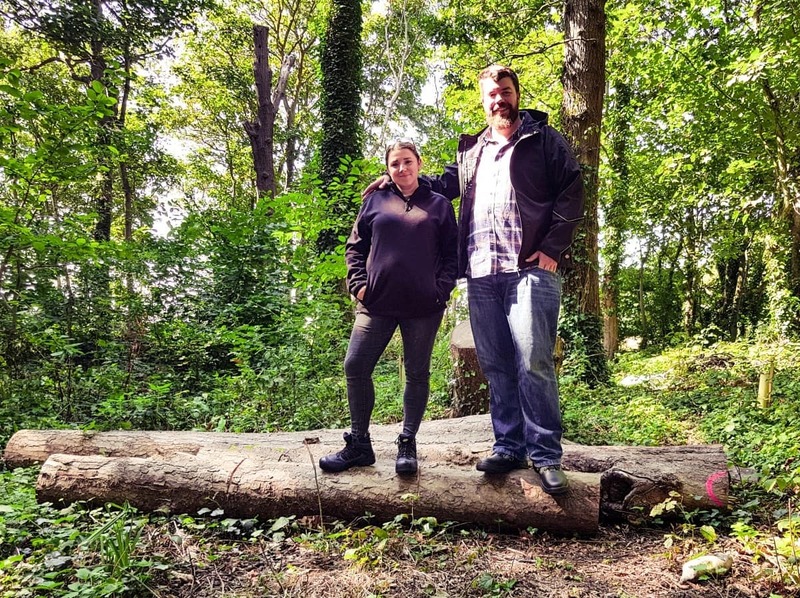 Dickies Workwear recently asked us to share our favourite family walk in Autumn so I’ve picked out three family friendly walks in West Sussex that we know and love. Sussex has so many lovely open spaces to explore, as a lot of it sits within the South Downs national park. Located just north of Worthing with easy access from the A24 and the A27, Cissbury ring is a large hill with great views of the Downs and out to Sea. On a really clear day you can see the new Rampion wind-farm, which is named after the Sussex flower, and you’ll find that up on Cissbury Ring (it’s purple!) If you park in the car park at Storrington Rise BN14 0HT you can stroll up-hill until you reach the sty which marks the walkway circling Cissbury Ring. Set off in either direction around the ring and keep an eye out for the wild ponies! You can also clamber about on the ancient walls of the fort. The fortifications have been dated back to 250BC, which is pretty darn old! Slindon Estate is north east of Chichester, and consists of 3500 acres of woodland and downland with miles of trails to follow and lots of history too. We park on the roadside near Slindon College (BN18 0RG) and there are a few different directions you can explore in. We’ve done a really nice circular route a couple of times but it’s almost 6 miles, it heads up past Slindon Folly, through thick woodland and then back through Slindon Bottom, which is a Palaeolithic beach! It’s so strange to be walking where cavemen once would have been hunting their prey (according to the signage there anyway!) Alternatively for a shorter walk you can park in the same place, follow the road round to the left past the college and follow the signposts on the left to explore Slindon Bottom. There are lots of pre-made wooden tee-pees, or you could make your own! For more information on the Slindon Estate click here. If you visit in October you really need to check out the ‘Slindon Pumpkins’ it’s not a pumpkin patch but you can buy pumpkins from a huge selection of different varieties, and check out their annual pumpkin display too! 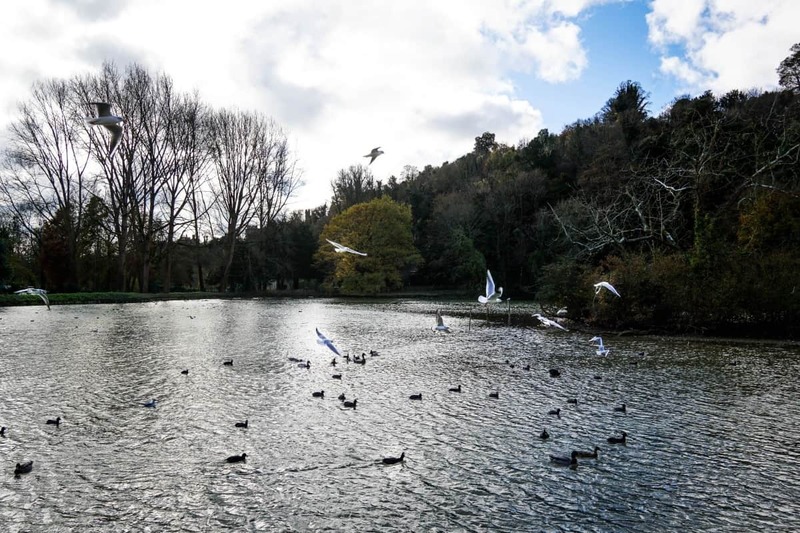 Walking around Swanbourne Lake in Arundel (BN18 9PA) is one of my earliest memories, as my parents took me there from when I was really little. Back then it seemed huge, but now I’m an adult taking my own kids there it doesn’t seem that big at all! You can start at the gatehouse and follow the path along the right side of the lake, with plenty of stopping for the kids to scrabble up and down the muddy banks, or to feed the ducks. 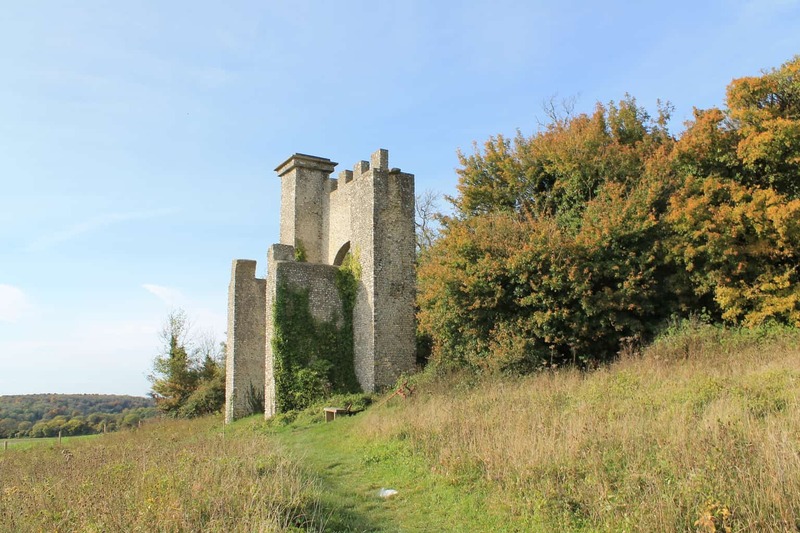 At the end of the lake you can carry onto into Arundel park over the stile, keeping an eye out for the underground bunker and the Horne Tower (look up and to your left!). If you fancy a shorter walk then just keep following the path around the lake until you’re back where you started! Also in this area is the Wildfowl & Wetlands trust, just a little bit further up the road leading to Swanbourne, with the entrance on the right. At the end of the same road is the Black Rabbit Pub – perfect for Sunday lunch next to the river Arun! 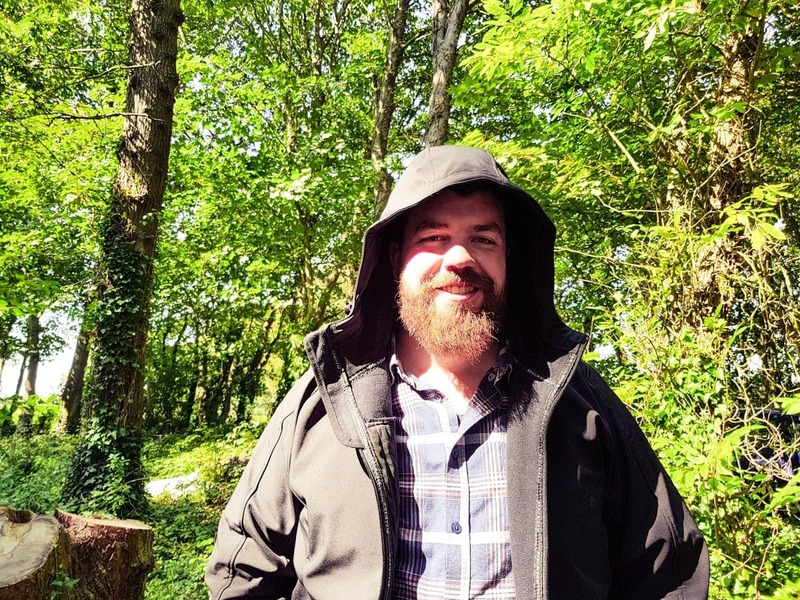 Dickies have put together a preparation guide for walking in the UK this autumn, and they also sent Sam and I some new cold-weather walking essentials which we tested out last weekend on a walk, so these photos are courtesy of Athena! We each picked a pair of walking boots, I chose a micro fleece and Sam a jacket with a hood. 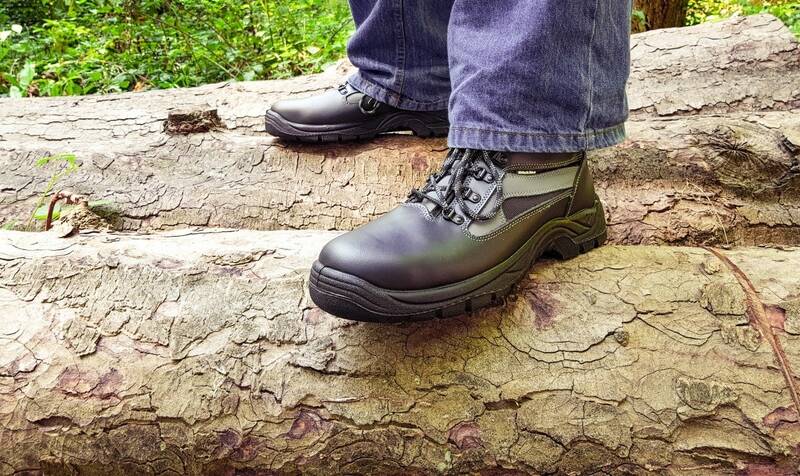 Sturdy is not the word for these walking boots – I think they’d withstand pretty much anything! They were ideal for clambering about on logs and although they’re heavier than regular ankle boots due to the reinforced sole and steel toe caps they’re padded and didn’t rub on the first wear, something with rarely happens with me! 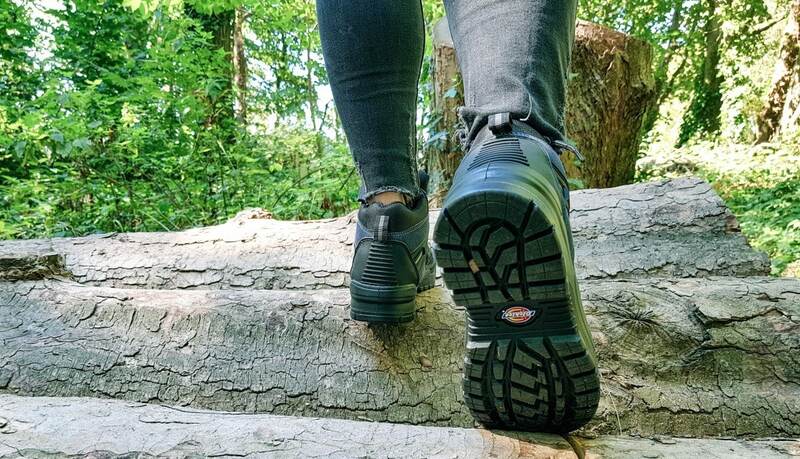 The non slip soles and thick treads mean even in really wet or muddy conditions I’m confident our feet will still be warm and dry at the end of our walks! 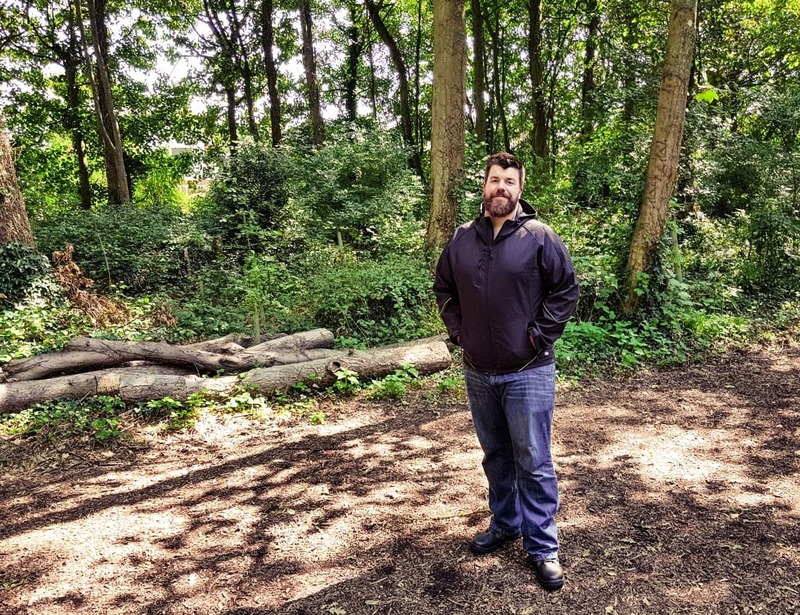 Sam’s hooded soft-shell jacket is the perfect autumn jacket for him, and his outdoor pursuits (he sometimes goes fishing and sailing too) and is smart enough to wear when he’s teaching driving too! It’s waterproof to 8000mm, and the sleeve cuffs, hood and waist are all adjustable for a perfect fit. 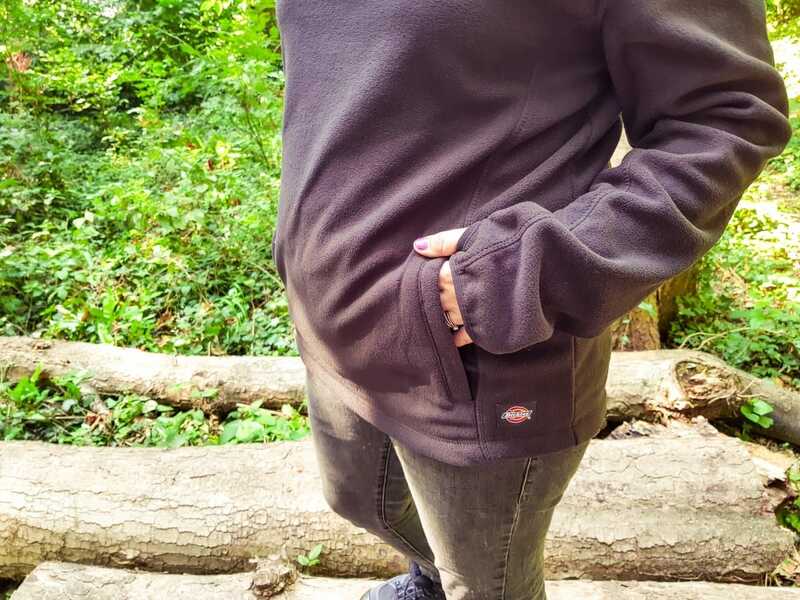 The fleece pullover I picked is really comfy as it’s a roomier fit as it’s unisex, perfect for me as I don’t like things too tight around my ‘mum tum’. The best bit for me are the thumb holes – I think ALL jumpers should have them to be honest! I detest wearing gloves so a thumb hole is a great solution for me as my fingers are free to wiggle as they please (okay, and use my phone!) but my hands and wrists are nice and warm. Pockets are a big bonus too for stashing the little piles of ‘special stones’ my darling kids like to collect, and a pack of tissues for the inevitable autumn colds too! I’m already looking for new walks for this autumn and winter so we can really put our new boots to the test, I’ll keep you posted if we find some good ones! This is a collaborative post with Dickies, all words, opinions and photos my own. Previous Post Opinions: Are the school summer holidays too long?